I can't change a hero slider in the customize section of the hero slider. If i click on "add slide" nothing happens. I've red the documentation about home page set up etc etc. The hero slider is not displayed on the home page. Sounds like it may be an issue with a 3rd party plugin you have or customization. Do you have any caching plugins installed? If so, they need to be disabled during an update to ensure you are not being served outdated files once you make the update. I've checked all my plugins and they don't work. I provide you the login credentials of WordPress. Could you please help me to see what the problem is? 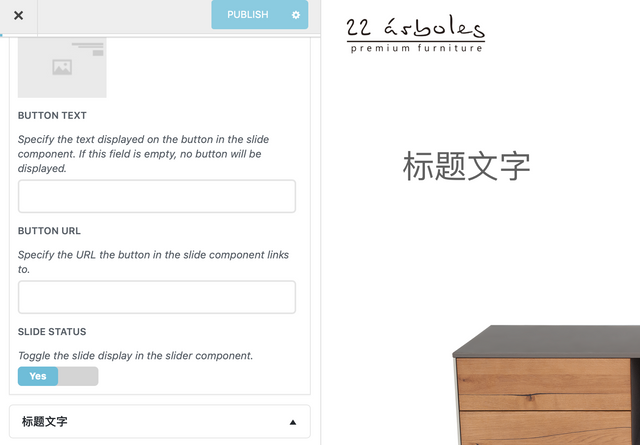 Toggle the slide display in the slider component.